During the week of August 12, Crystal Bridges Museum of American Art anticipates welcoming its one-millionth visitor since its opening on Nov. 11, 2011. 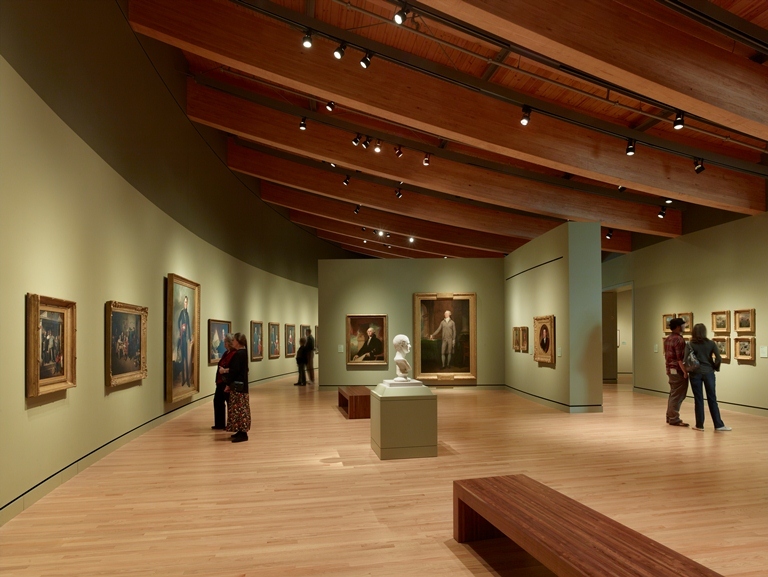 When Crystal Bridges was first proposed, annual attendance was estimated at some 150,000 to 300,000 guests. Since its opening, however, the museum’s attendance has far exceeded all expectations, surpassing initial estimates within the first six months and welcoming more than 650,000 visitors in the first year. Of those one million visitors, 64 percent were from Arkansas, and some 20 percent came from the six nearby states: Missouri, Texas, Oklahoma, Tennessee, Louisiana and Mississippi. The remaining 16 percent hailed from other states in the U.S. and global addresses. The daily attendance includes students participating in Crystal Bridges’ Willard and Pat Walker School Visit Program, a curriculum-based experience for K-12 students that currently has served 27,500 students from districts throughout the region. In celebration of this milestone, throughout the week of Aug. 12 through 18, the museum is asking the public to share their stories of what Crystal Bridges means to them in the form of written or video statements. A “Share Your Story” video booth will be set up on Wednesday, August 14 from 11 a.m. to 2 p.m. and 3 to 5 p.m. and on Thursday, August 15 from 11 a.m. to 2 p.m. where visitors may record their stories of the impact of Crystal Bridges on their personal lives. A Share Your Story wall in the museum lobby will offer guests a place to post written stories as well. “We look forward to capturing this important moment in our museum’s history through the voices and opinions of the people Crystal Bridges was created for: our visitors,” said Bigelow. On Saturday, August 17, events for visitors of all ages will aid in the museum’s celebrations, including a Sunrise Experience at James Turrell’s “The Way of Color” Skyspace, an outdoor yoga class, children’s art workshops, art talks, and a Museum Store event featuring regional artists. On Sunday, August 18, visitors can participate in an art making program outdoors on Walker Landing, paired with a family-friendly musical performance. A full listing of museum programs and events is available on the Crystal Bridges website: CrystalBridges.org.